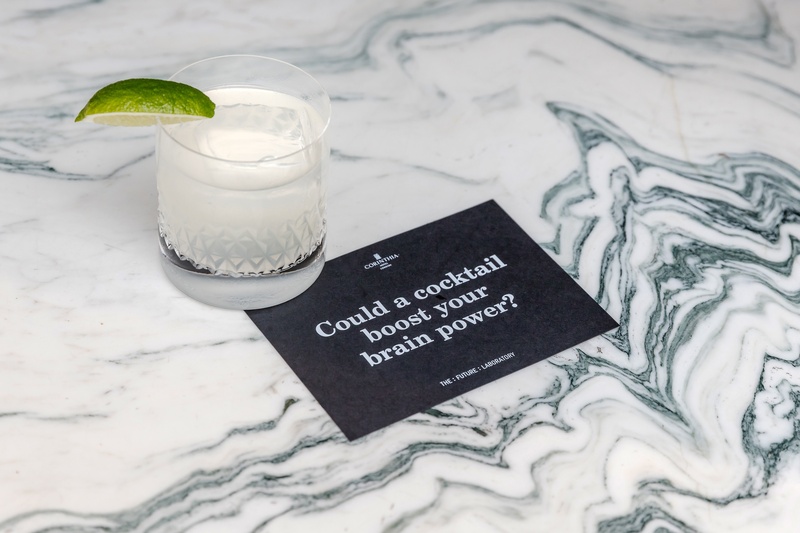 Over the next year, The Future Laboratory will be the Futurists-in-Residence at London’s epicentre of luxury, the Corinthia Hotel London. Discover what we’ve got lined up and how you can get involved. The future of luxury is about intelligent encounters, cool cultural exchanges, and the kind of exemplary food for the mind, body and soul that stimulates thinking, encourages debate, and celebrates fun. 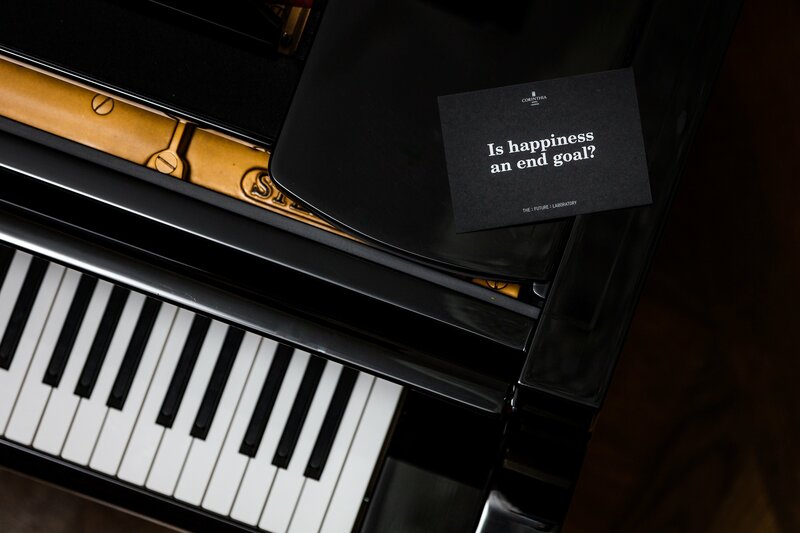 Which is why we’ve partnered with the Corinthia Hotel London, one of London’s most culturally curious luxury hotels, for a year-long partnership as their Futurists-in-Residence. Over the next 12 months, we’ll be working together to bring our clients and their guests a glimpse of the future long before the rest of the world discovers it. We’ll program mind expanding lectures, briefings, dinners, forums and in-conversation sessions to gently provoke and challenge the status quo, while celebrating London’s position as one of the great culture and future facing capitals of the world. Below you’ll find a list of the events we’ll be curating, so please do get in touch if you would like to attend. We look forward to sharing our visions of the future with you in an unsurpassable setting. We take an in-depth look at the biggest shifts in retail and present the key rising trends to help you navigate this changing landscape. We hear from leading industry innovators, present inspiring best-in-class case studies, and examine the attitudes and motivations of the latest retail consumer tribes. As well as gaining key consumer and industry insights, attendees will have direct access to our research and strategy teams, who will be on hand to answer questions about how best to apply and tailor these insights to your specific business needs. There will also be ample opportunities to network with your peers, industry influencers and the keynote speakers. Guests will also enjoy a set lunch on arrival. Our highly sought-after 45-minute breakfast briefings are designed to give overworked C-suite teams an insightful and practical look into the challenges they are likely to face as the landscape of industries rapidly change. 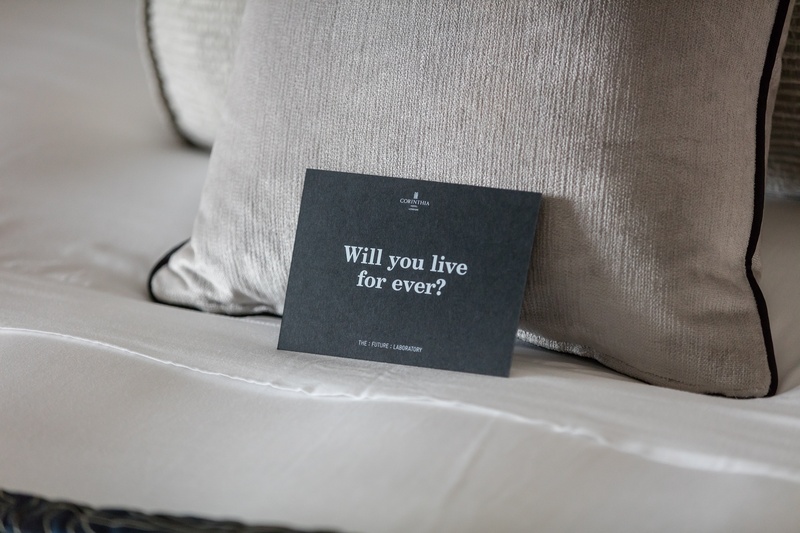 We aim to offer a clear brief that allows guests the ability to look past the current zeitgeist, to practically capitalise on burgeoning trends. The Future Laboratory co-founder Martin Raymond says: ‘These breakfasts take the form of a classic executive briefing. The key idea is presented and explained, the related cases studies unveiled, relevant experts are introduced, and a usable set of actions and solutions outlined.’ In other words, these are essential briefings for market-shapers and those who need to get back to their teams with answers rather than more problems or questions. Our second Breakfast Briefing of 2019 will take place on 16th May. Our Breakfast Briefing cuts across broad research areas and examines the data in detail, providing a unique picture of tomorrow’s growth opportunities. Breakfast and networking sessions offer the chance to debate the topics of the morning with your fellow innovators. This year, our three macrotrends – Uncoupled Living, Resilience Culture and Programmable Realities – explore how resilience is needed to make our brands more agile, living alone more empowering, and the ways in which we shape reality more complex, flexible and multi-faceted. At our Breakfast Briefing, we will deliver three sharp and concise presentations, featuring the key insights from each of the new macrotrends. The presentations will combine expert insight and best-in-class case studies, with practical advice on how to harness and implement these trends. Are you ready for your resilience training? Our Health & Wellness Futures Forum takes an in-depth look at industry-specific trends, exploring everything new and next in the sector that is set to affect the future consumer in the next 3–5 years. Guest speakers include industry leaders and innovators, and attendees receive an extensive Retail Futures report, offering further insights into the market and implications for business. 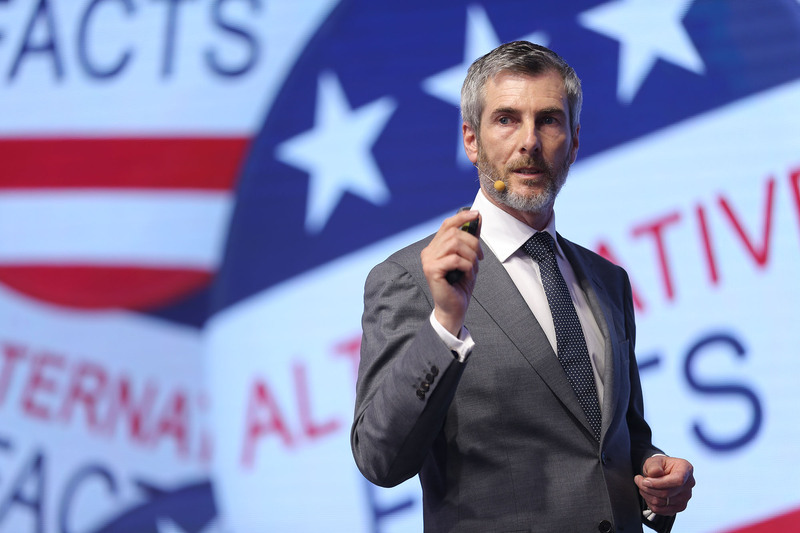 As well as delivering key consumer and industry insights, attendees will have direct access to our research and strategy teams, who will be on hand to answer questions on how best to apply and tailor these insights to your specific business needs. There will also be ample opportunity to network with your peers, industry influencers and the keynote speakers. The event will begin with a detailed global market overview, followed by the key consumer trends that are changing the face of the sector. We hear from our industry experts, present inspiring best-in-class case studies, and examine the attitudes and motivations of the latest Health & Wellness consumer tribes. Guests will also enjoy a set lunch on arrival. Future dates soon to be released. We’ve set Ian Ellis, an eclectic Cabbie with with an encyclopaedic knowledge of all subjects, his biggest challenge of all: to undertake a series of future-inspired drives around London with four passengers and a luxury afternoon tea, during which we’ll exchange banter with him about the future over cakes and a genetically modified cuppa. 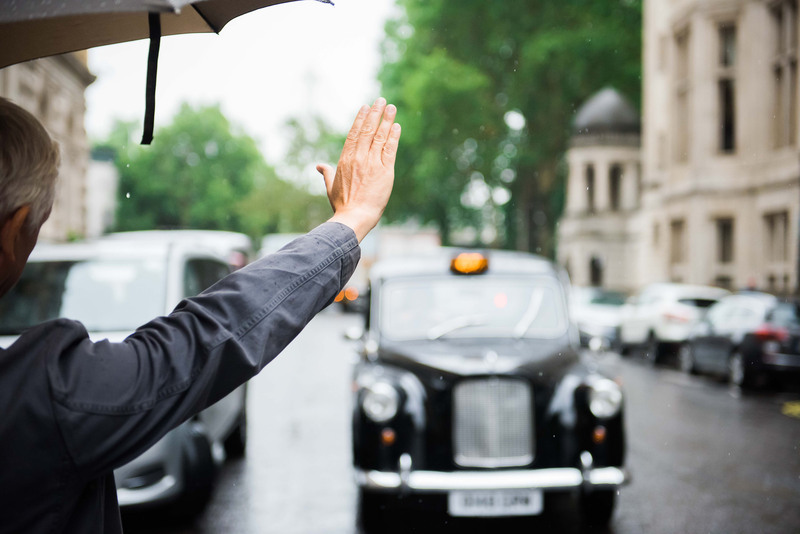 If you would like to join us for tea, talk and a trip in one of London’s legendary black cabs with fellow futurenaut and cabbie Ian Ellis at the wheel, then email us at contrarian.cabbie@corinthia.com with a key question about the future you’d like to ask him, and we’ll book you in for the ride – if it sounds like it’s going to stump him. But don’t be surprised if it doesn’t. This chap truly is a legend among cabbies, and knows more than the combined brainpower of The Future Laboratory’s chief knowall officers. This is our intimate, chatty, witty turn about the Corinthia Hotel’s many rooms, bars and soirée-like saloons with guests, friends and fellow salonistas determined to while the night away in an atmosphere of intellectual curiosity and convivial chat. A curated series of evenings that combine entertainment, music, art and delectable flavours of food and drink futures. Guests will include Feminist Internet co-creator Dr Charlotte Webb, Silicon States author Lucie Greene, Virtual Futures director Luke Robert Mason, Monocle editor Andrew Tuck and director of The London Design Festival Ben Evans. 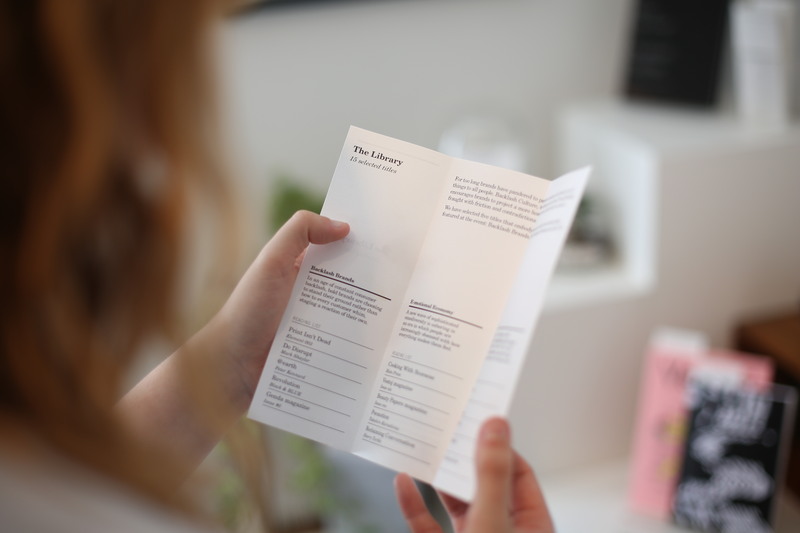 A selection of future-facing publications carefully chosen by the insights team at The Future Laboratory to explore the cultural, economic and technological shifts our society is facing today. Download more information about the event here. We live in an age of wonder: cars that drive themselves, devices that anticipate our needs and robots capable of everything, from advanced manufacturing to complex surgery. 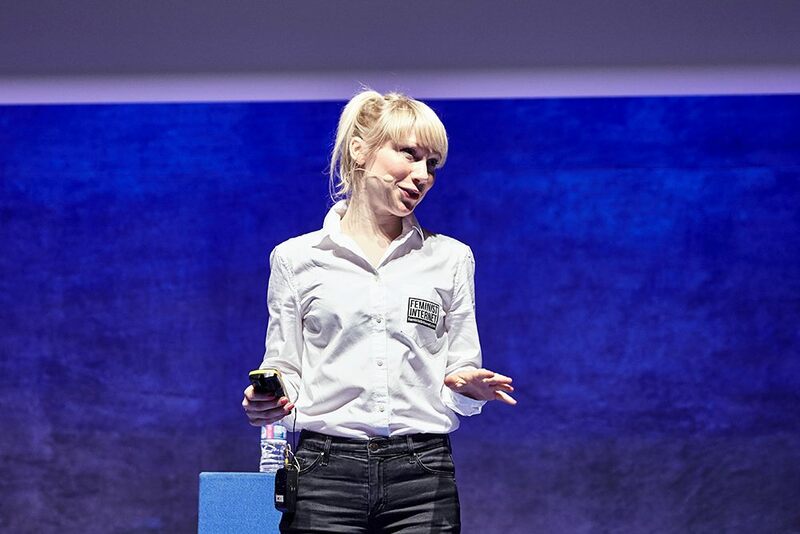 Automation, algorithms and artificial intelligence will transform every facet of daily life, but are we prepared for what that means for the future of work, leadership and creativity? 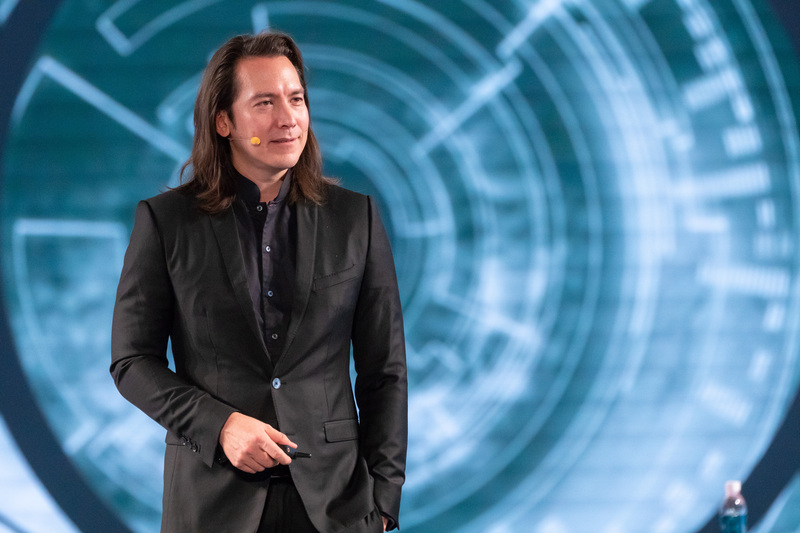 Futurist Mike Walsh, CEO of Tomorrow, talks to The Future Laboratory co-founder Martin Raymond about his newest book, The Algorithmic Leader, and the 10 principles every leader needs to know to survive and thrive in the algorithmic age. Our Breakfast Briefing will take place on Friday 22nd March 2019, and is designed to give overworked C-suite teams an insightful and practical look into the challenges they are likely to face, and the qualities they will need to foster in the age of Algorithmic Leadership. In the heat of the virtual night, we discuss some of the hottest topics of tomorrow. What can a select group of decision-makers reveal in the confines of ultimate luxury? Our Campfire Conversations will aim to find out, offering an opportunity to unwind and explore new treatments that elevate your mind, body and soul. De-stress in the award-winning spa and enjoy our virtual campfire while listening to thought-provoking readings, sizzling debates and controversial fireside chats about AI, next-generation VR, sexist data, the Feminist Internet, gamified exercise, Pepper the robot, rewilding, extreme therapies and how Silicon Valley is fast becoming the silicon state more powerful than the United States of America itself. This highly sought-after 45-minute Breakfast Briefing will be a conversation between Douglas Rushkoff and Tim Noakes about people, our technologies and the anti-human agendas often contained within them. A buffet of ideas and foresight solutions, Breakfast Briefings are designed to line your brain and stomach for the challenges for brands in the coming days. 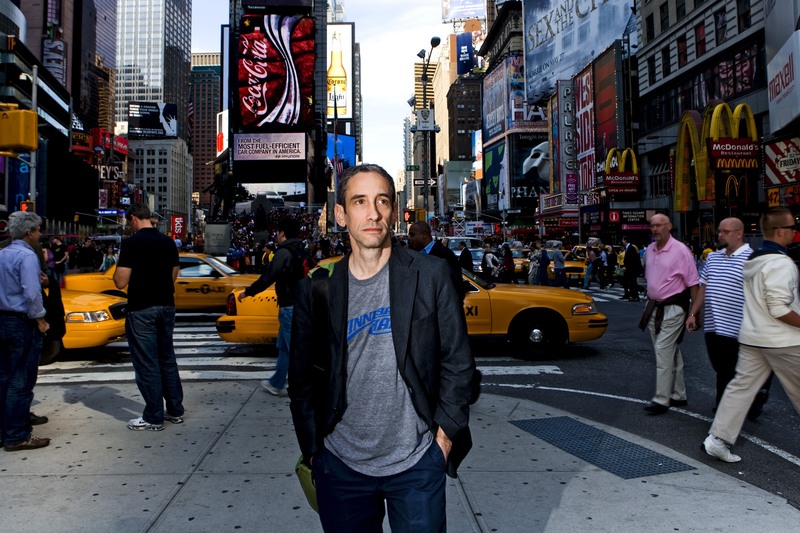 Douglas, named one of the world’s most influential intellectuals by MIT, is a digital theorist and thought-leader who analyses the relationships between humans and technology. His work explores how different technological environments change our relationships with narrative, money, power and one another. He coined such concepts as ‘viral media’, ‘screenagers’ and ‘social currency’, and has been a leading voice in applying digital media to social and economic justice. Douglas will be speaking to Tim Noakes, head of Foresight at The Future Laboratory. Before joining our futurists-in-residence, Tim was the editorial director of influential music broadcaster Boiler Room and editor-in-chief of Dazed & Confused magazine. Our first Breakfast Briefing of 2019 will take place on 14th February and will explore themes from Douglas’s new book, Team Human, which examines ways to remake aspects of society that promote our humanity. Our Food and Drink Futures Forum will examine the latest trends, ingredients and serves that represent consumers’ changing tastes and behaviour when it comes to what they eat. From how restaurants are combatting closures to the popularisation of moderation over teetotalism, our forum will explore the short-term and long-term trends that will enable your brand to plan successfully for 2019 and beyond. As well as gaining key consumer and industry insights, attendees will have direct access to our research and strategy teams, who will be on hand to answer questions on how best to apply and tailor these insights to your specific business needs. There will also be ample opportunities to network with your peers, industry influencers and the keynote speakers. With few exceptions, hardware always seems like a tough, harsh and uncompromising word, especially when it comes to describing future-facing, people-friendly products. But Google’s Ivy Ross has happily forced us to re-assess our opinion. 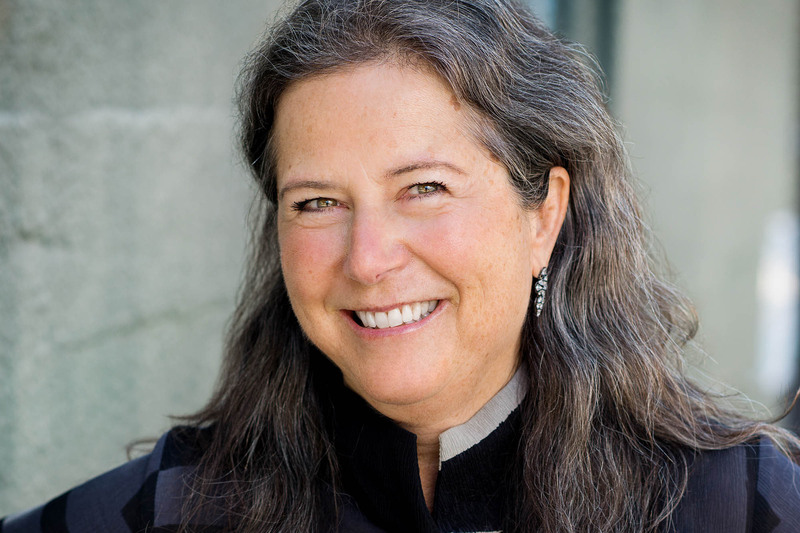 Her smartphones, Google Home and smart speakers have won many awards globally, and Ross and her team now have 26 of them on their virtual fireplaces. Her collection has established a design aesthetic for technology products that is tactile, bold, emotional and undeniably Google. 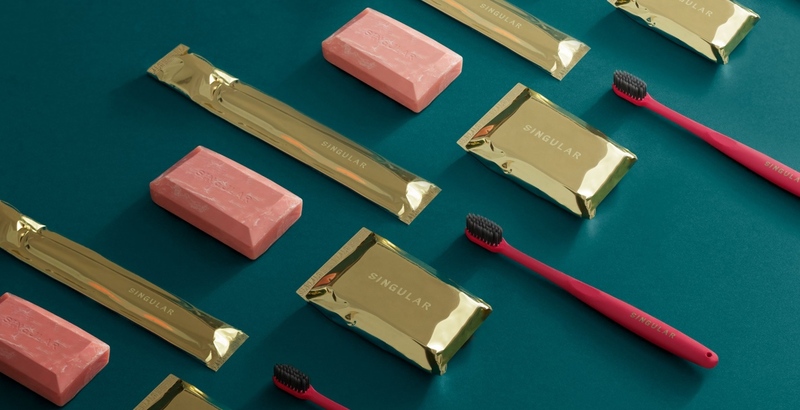 So good are they, we refer to them at The Future Laboratory as ‘edible design artefacts’ – pieces, in other words, that look good enough to eat. As she will explain during our In Conversation session, these next-generation products are no accident, but a tribute to Ross’s skill as a product, fashion, technology and jewellery designer with companies as diverse as Calvin Klein, Swatch, Coach, Mattel, Art.com, Bausch & Lomb and Gap. Listed as one of Fortune magazine’s Most Powerful Women, she is also a renowned artist, with work in the permanent collections of 12 international museums. Her passion, as she will tell us, is human potential and relationships. She believes in the combination of art and science to make magic happen, and bring great ideas and brands to life. 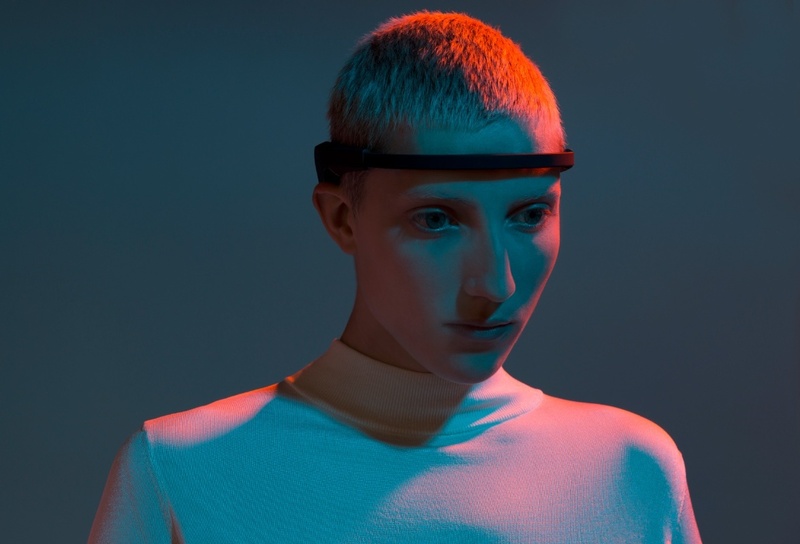 We’ll be talking to her about the magic of design and technology now, but also about what hardware and ‘softwear’ products will look like in the near and far future. In his new book, The Post-truth Business, brand strategist Sean Pillot de Chenecey trains his forensic eye on the next big thing that brands need to consider if they are to survive the 21st century as viable propositions in our current and future lives. In doing so, his book provides a fascinating exploration of the social and political realities shaping brand perceptions around the world. In an exclusive In Conversation session and follow-up book launch on the night, Sean will tell us who the culprits are, how they need to change, and why fake news, the ongoing misuse of our data and misplaced cultural marketing activities are combining to act as catalysts for counter-cultural movements on an international basis. We look forward to battling with him on the night. Toxic masculinity is a term we hear bandied about a lot at The Future Laboratory. 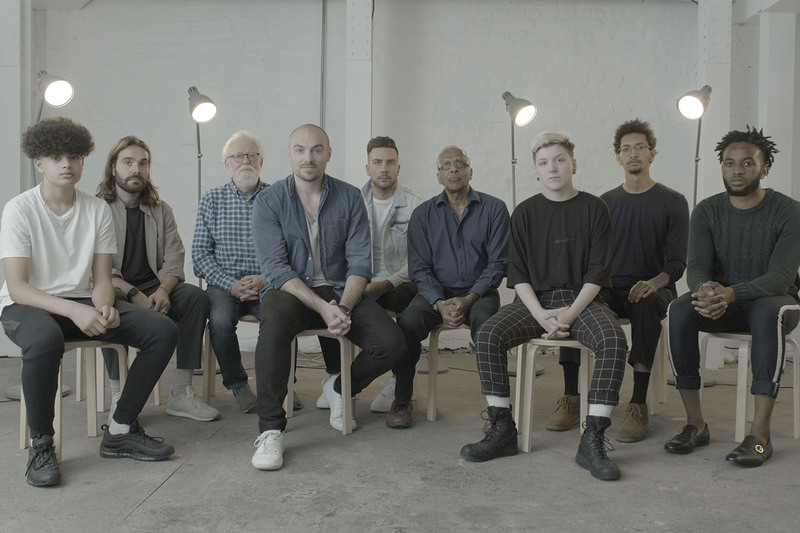 But as our research suggests, masculinity is far from toxic – especially when you put it in the context of the future, as we’ve done in our New Masculinity series. Consider the growth of EQ toys for boys. The rise of soft masculinity, or how non-binary sexuality has allowed a new generation of men to redefine what it means to be male in the 21st century, and you have a whole new playbook to work from. At our New Masculinity Breakfast Briefing we look at how masculinity is changing – in marketing, advertising, branding and packaging – and introduce you to tomorrow’s new masculinities (note our use of the plural here) via a screening of a specially commissioned film by fellow Flabber and film-maker David McGovern. Prepare to cry, be amused, stunned – but most of all to be left in awe of what maleness can transform into when we put our hearts and minds to it, rather than our… Yes, well, we’ll talk about that on the day too. What new behavioural traits will define the future of your workforce? Some 83% of purchasing decisions in the US are influenced by women (source: Gender Leadership Group). But in the UK just 12% of the creative directors marketing to women are female and just seven women run FTSE 100 companies. Professor Jordan B Peterson argues that the abilities and choices of men and women differ in part because of biology, and this is why ‘we don’t see equal representation of women in tech and leadership’. Peterson’s comments are supported by the fact that 53% of respondents in a recent survey by Pew Research said they believe society looks up to manly and masculine traits. But what will these traits look like in the future? And will this affect how brands influence and communicate with the consumers of the future? What do brands need to do in order to be best prepared to engage with and influence a new type of consumer… and employee? Join us for one of our intimate Dare to Know dinners. Artist, director and film-maker David McGovern makes films about being reflective and human in a sometimes fickle and transient world. Using both lo-fi experimental approaches and high-quality production methods, he explores what things might feel like and how things might be if we consider them from a different perspective, or through more sensual mediums. Aware of the role creativity plays in exploring, defining and mapping our understanding of the future, we stumbled on his Stuckness project and fell in love with it. We know that the ability to dream, to create and to imagine many possible tomorrows is the stuff and essence of great future forecasting, as well as superlative science and speculative fiction. But what happens when we can’t create, when we become stuck and unable to imagine what tomorrow might look like? Stuckness aims to reframe how we see this anxiety-inducing, disorientating state commonly known among writers as creative block, and as future block to those of us who spend our time imagineering the landscapes of tomorrow. But what if we could take something difficult and explore it so intently that its form changes? By renaming a perceived problem and being curious about it, can we rid ourselves of it? David believes we can. 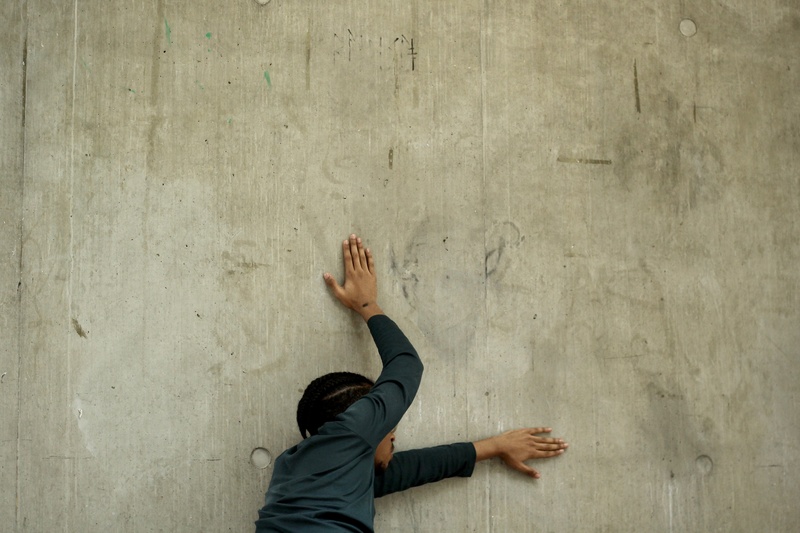 In its current iteration, Stuckness uses dance, performance and moving images to explore this inability to move forward. The work is a collaboration between University of the Arts London, David McGovern, choreographer Daisy Smith and leading performers from Central Saint Martins and London Studio Centre. And we will explore these ways forward with David through his work, offering guests of Corinthia Hotel London, mutual friends and clients of The Future Laboratory insights into how we can imagine tomorrow more effectively by unblocking our ability to think, create and push on into the future. 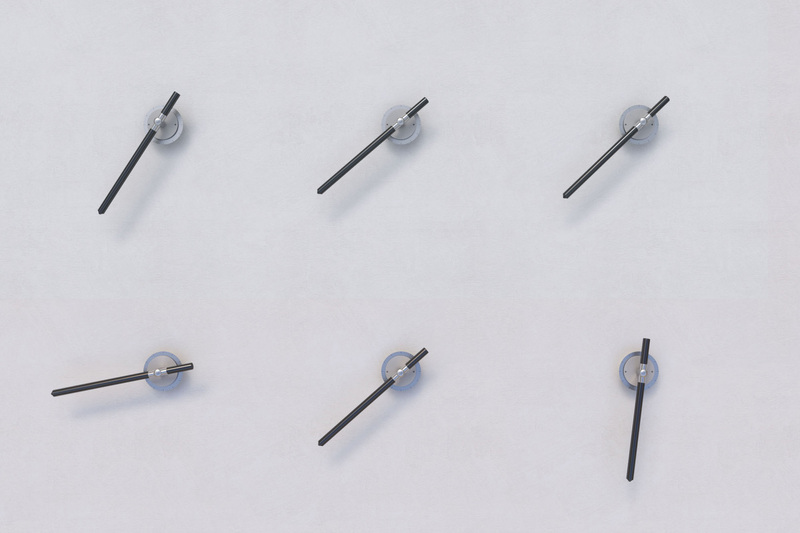 Consumers are demanding levels of convenience so extreme that it is fast becoming difficult to distinguish between product discovery, the moment of purchase and the time gap between thinking about a product and having it in your home. 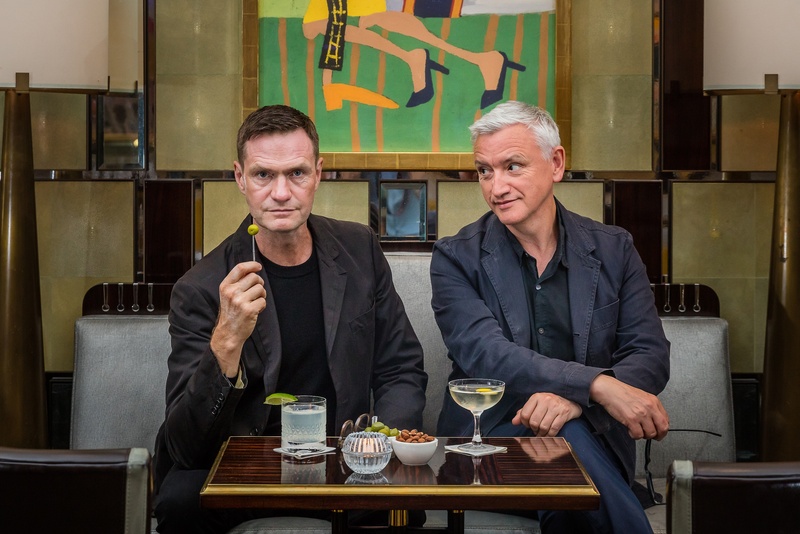 As Chris Sanderson and Martin Raymond reveal in their first Futures-in-Residence Breakfast Briefing at the Corinthia Hotel London, today’s consumer no longer goes shopping, but is shopping – and doing it all the time, everywhere. We might worry about the consequences, they say, or debate the ethics of being in a shopper’s head 24/7. But if you aren’t, says Sanderson, ‘the downside is clear: falling sales and a range of new retail tools and ‘pipes to purchase’ that you are increasingly missing out on’. But why miss out at all? 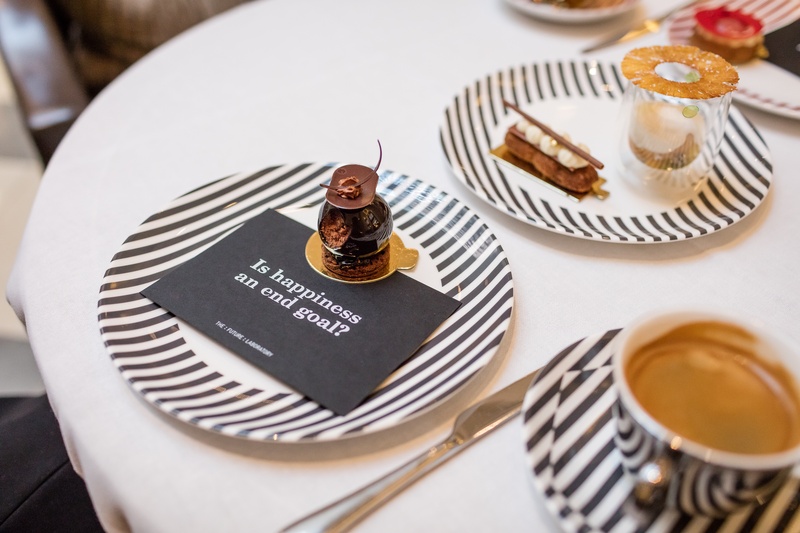 Join us for breakfast at the Corinthia Hotel London, and find out at first hand what tomorrow’s new start-ups have in store – and discover the stores they’re planning to instal inside our heads. The proposition: Do robots dream of eclectic sleep? When bites and bits collide the ideas can be explosive, the lessons profound and the food out of this world. 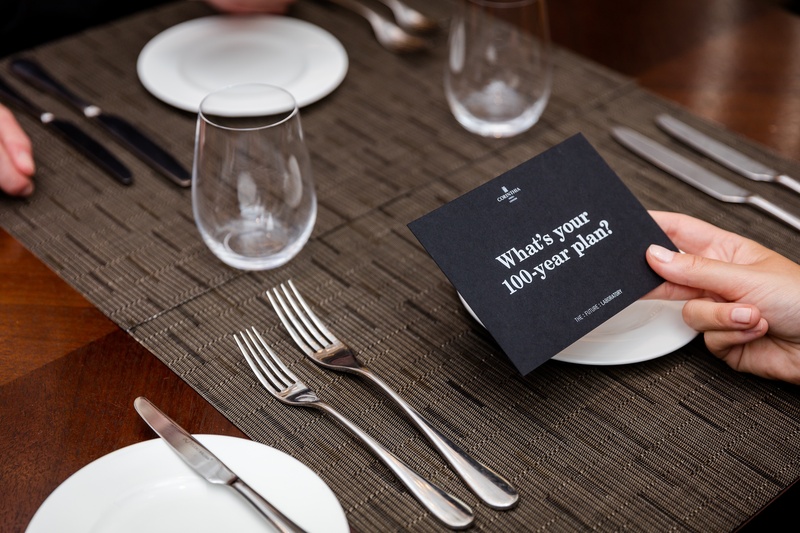 Inspired by our company motto Sapere Aude, or Dare to Know, these small intimate dinners are designed to celebrate ideas and kick-start new ones. 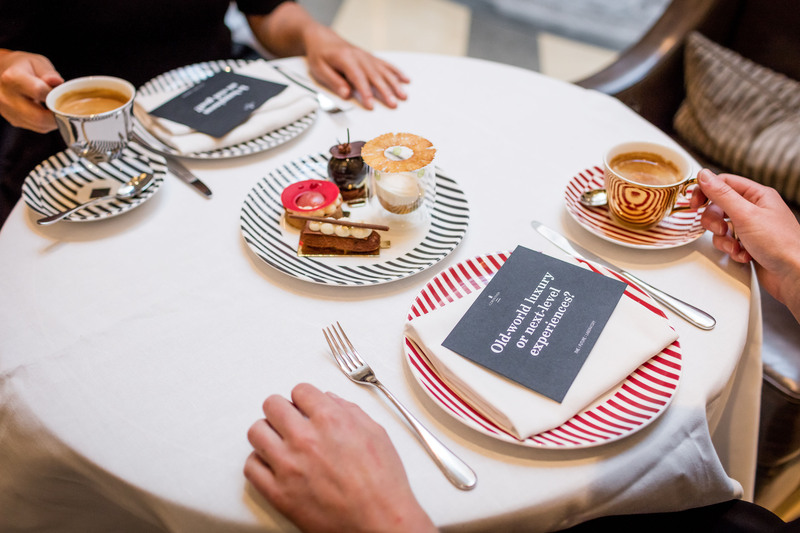 Once famously described as ‘a gathering of unlike minds over unlikely dishes’, they are designed to stimulate discussion, challenge thinking and drive debate. Our first Dare to Know Dinner will take place on 14th June and will look at Morality Recoded, as in how and why we are rewriting the rules of ethics and morality at a time when robot rights, gender equality for AIs, and the rights of intelligent machines over stupid people are being hotly and seriously debated. Agree, disagree, aren’t sure or just want to know more? Then join us for one of our intimate Dare to Know Dinners. Expect synthetic brains, choice silicon stakes, and the possibility that the only vegetables in the room will be human ones as Siri, Alexa and friends call on us for the answers to tomorrow’s big questions. Advancing internet equality and the narratives of tomorrow. The best way to predict the future is to create and shape it yourself. At present, as debates about gender equality, neutrality and the future of gender itself dominate the headlines, many of the futurenauts we are speaking to are doing just that – making the future happen by presenting us with alternative scenarios about what could and should be. One such voyager is Dr Charlotte Webb, chief leopard at the Feminist Internet, an organisation on a mission to advance internet equality for women and other marginalised groups. The Feminist Internet challenges us to confront our assumptions about gender and feminisms – the plurality of which, says Charlotte, is vital to understanding the true nature of this word. She suggests that ‘there is no feminism, only possible feminisms; there is no internet, only possible internets’, a position key to making the internet – and the offline world that shapes it and makes it – a safer, more equal place. 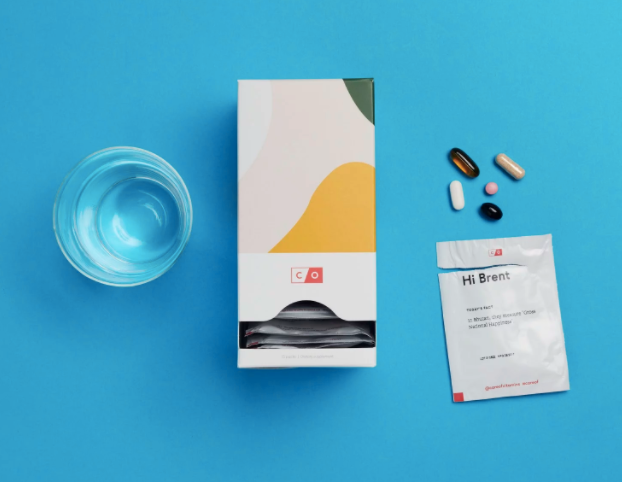 As consumers become more driven by the need for transformative experiences and self-improvement becomes further integrated into the mainstream mindset, the health and wellness sector is opening up new opportunities for innovation. In our second Futures-in-Residence Breakfast Briefing we will examine the key trends shaping the health and wellness landscape and how technology will facilitate a greater convergence of the two as new healthcare touchpoints emerge in 2019. In her debut book, J. Walter Thompson’s chief futurist and former editor of The Future Laboratory’s LS:N Global network, Lucie Greene offers a bracing look at how Google, Apple, Amazon, Facebook, Microsoft and other Silicon Valley power players are using their influence to encroach upon the civil landscape of government, healthcare, transportation and housing. 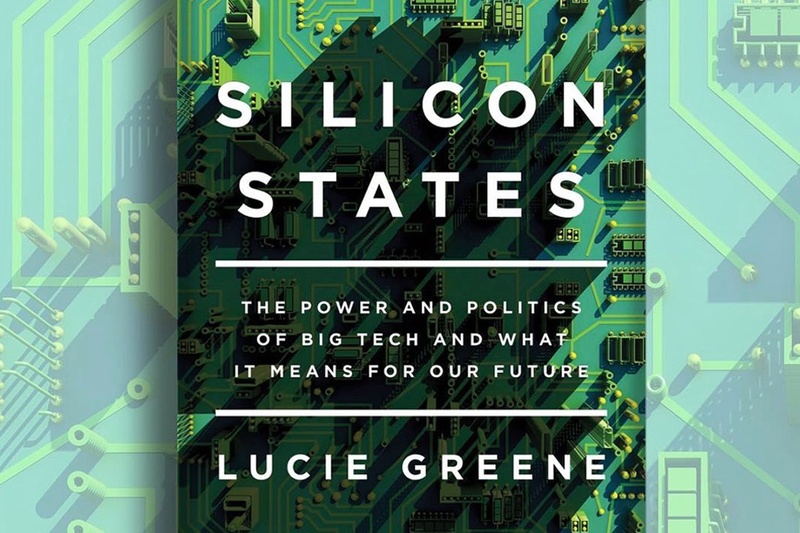 As Greene reveals, Silicon States is a global snapshot and analysis of the future being built by tech. Through interviews with over 60 experts and new research conducted by JWT’s in-house proprietary insights unit, she explores how, with nearly bottomless supplies of cash and ambition, a small group of companies has been gradually seizing symbolic and practical civic and social leadership – globally, as well as in the US. This is our global snapshot of tomorrow’s luxury landscape and the pioneering brands that will inhabit it. 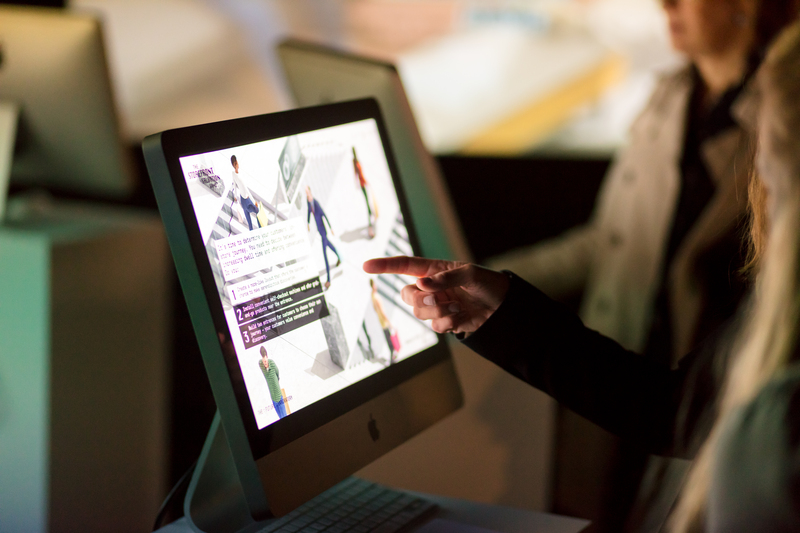 Combining expert analysis with best-in-class case studies, the forum is your definitive guide to the key changes in luxury consumer thinking and how your business can profit from them tomorrow. Guests will enjoy a set lunch on arrival and an afternoon of inspiring keynote presentations, benchmark cases studies, expert conversations and the chance to network with like-minded professionals from the global luxury, hotel, travel and hospitality sectors. We will review the current state of play and innovations that are set to change the luxury and hospitality market over the next 3–5 years. Other forthcoming Futures Forums in 2018 will include Health and Wellness Futures, and Food and Drink Futures (21 November).